Anna-Maria Holmes' work as a ballet-dancer and pedagogue is known in more than 30 countries around the world. After perfecting her skills under the instruction of Natalia Dudinskaya and Alexander Pushkin, Holmes became the first North-American artist to be invited to join the ensemble of the Russian Kirov Ballet. Anna-Maria Holmes is renowned around the globe for her classical ballet roles. She has been invited to be a guest soloist by companies such as the London Festival Ballet, the Royal Scottish Ballet, the Ballet of the Berlin Staatsoper, the National Ballet of Holland, the Grands Ballets Canadiens, the Chicago International Ballet and the Royal Winnipeg Ballet, among others. Among the numerous choreographers who have created roles are names such as Rudi van Dantzig, Agnes de Mille or Brian MacDonald, as well as many others. She has directed the Boston Ballet since 1985 where she has choreographed her own versions of Sleeping Beauty, Giselle, and Don Quixote. Together with Natalia Dudinskaya and Konstantin Sergeyev, she created Swan Lake which is primarily responsible for the excellent reputation of the Boston Ballet. Holmes has also received awards for her work in movies and television. The list includes awards at the Grand Prix du Cannes Festival, the Prague Film Festival, the Rome Film Festival and the American Film Festival. 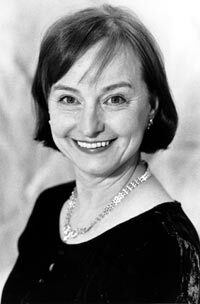 In 1997, Anna-Maria Holmes was named Artistic Director of the Boston Ballet.